The graduating batch of 2018 BTech students is gearing up for their convocation this weekend. And all of them are doing the happy dance. While some of them have decided to further their interests towards higher education in research, the rest have all gotten comfortably placed in reputed firms. Of these industry-bound students, 16 have been picked up by international firms. We talked to a bunch of these graduating 20-somethings for whom Europe beckons. Let’s see where exactly they are headed, what it takes and what makes them tick. “Apart from the routine placement season that typically unfolds in December where companies visit campus, students also apply directly to companies they are interested in without involving the institute. This is the off-campus process,” explains a student. In addition to the usual suspects like Facebook and Google, companies like Goldman Sachs, Bloomberg and Booking.com have made lucrative offers this year. Most students are under a confidentiality contract restricting them from revealing their final pay packages. But like one of them said, there are perks, there are stock options (in some cases), and the “pay package itself is pretty decent for a fresher. It’s more than one and half times the average salary in London”. 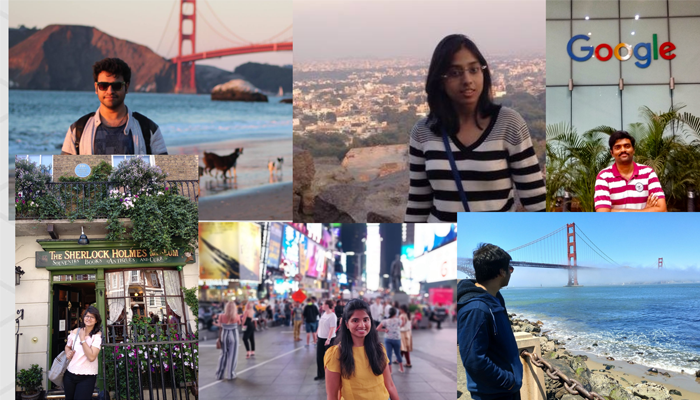 Pravalikka Etoori, a 22-year-old from the dual degree program (B.Tech in Computer Science and MS in Computational Linguistics) previously interned with Google in Bengaluru. She admits that many factors were taken into account while accepting the offer from Goldman Sachs. “The main deciding factor was the type of work I’d be doing in the role I was being offered. 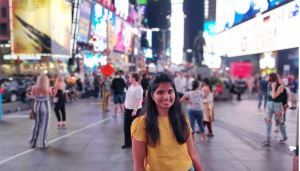 Then, the brand value of Goldman Sachs and location being London have weighed in on the decision.” Not limiting herself to only cultural events, Pravalikka demonstrated leadership qualities by her involvement and participation in student bodies. “I was a member of Students’ Parliament in first year, Student Academic Council in my sophomore year, and Apex body in third and fourth years,” she says. 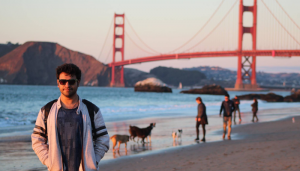 For Hemanth Veeranki, Google has been a “dream company” ever since he was little. 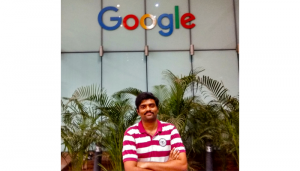 He took his first step towards this dream by bagging a highly-coveted internship at Google, Hyderabad. After completing his summer internship there, he applied for a full-time conversion and accepted the role he was offered. That of a software engineer in the Site Reliability Engineering (SRE) team based out of London. “Very simplistically put, the job of the SRE team is to maintain infrastructure on which Google public services are run”, explains Hemanth. This hard-working youngster from Pamarru in Andhra Pradesh secured a spot on the Dean’s Merit List in all the four years. He was also part of a team that participated in the ACM-ICPC regional round at Amritpuri in 2016. 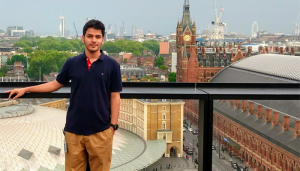 A similar conversion offer from the Google London office where he was interning at, was offered to 22-year-old Ayush Mishra. “I was a Site Reliability Engineering Intern and my role now is that of a Software Engineer in the same team,” he says. A self-confessed geek, his team qualified among the top 25 teams for the finals of Codechef Snackdown 2015 held in Mumbai. He has been part of the team that has qualified to the on-site of ACM-ICPC regionals 5 times. “In ACM-ICPC Amritapuri Multisite regionals 2016 my team was ranked 8th among 400 teams which qualified to the on-site regionals,” he says. 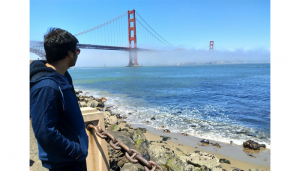 In the case of Abhinav AggarwaI, an internship at Google, Mountain View headquarters in summer 2017 was extended into a full time offer from Google London subsequently. “For the conversion process, you are expected to give two additional interviews toward the end of your internship,” he says. He was a software engineering intern in the Search Ads Quality Infrastructure team who finished his first project earlier than the deadline, thus gaining an opportunity to work on an additional project. The inclusion in the Dean’s Merit list for all the semesters, participation in ICPC onsite regionals 2016 and 2017, and qualifying for the Codechef Snackdown onsite finals in 2015, certainly helped in getting noticed. “I’ve wanted to work in Europe for some time now and I’m very interested in some of the products that Bloomberg has created,” says Mrinal Dhar, graduate in Computer Science and Computational Linguistics, explaining why he applied to the company. Demonstrating his inclination towards Information and Network Security from the start, in 2017, he completed Google Summer of Code while working on a security related project with Rocket Chat. In fact he also interned at CERN, Switzerland in the Computer Security team. He led a team named PingChat, which was among the top winners at AngelHack 2017’s Worldwide hack-a-thon competition: Global Demo Day which took place in San Francisco. “We have developed this team into a startup”, he says excitedly. When he’s not reading books or watching movies and playing board games, Mrinal can be found shooting away with his camera. 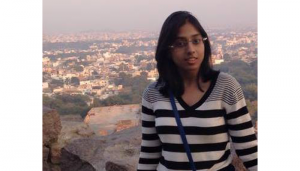 Vatika Harlalka, who is a dual degree student with a B.Tech in Computer Science with M.S. by Research in Computational Natural Sciences says she applied for a job directly through the Facebook portal. She has been offered the role of a software developer and says that having a resume peppered with extra-curricular activities helps. She should know, having been extremely active on the literary scene on campus as co-ordinator of the Literary Club and Litfest, held as part of Felicity. She was also the Editor of Ping! which is the college newsletter. “The main aim of the Literary Club is to get people engaged in reading and writing. There is a Facebook page where it is active. And the Literary wing of the college fest, Litfest, organises events like Treasure Hunt, Open Mics and others,” she says. Having helpful seniors can provide the right impetus too. 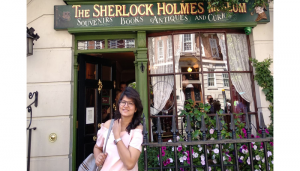 It was one such senior who referred BTech and MS (in Robotics) by Research student Roopal Nahar at Booking.com. She had to undergo one Hacker rank coding test, then 3 rounds of telephonic and Skype calls, followed by 3 onsite rounds in Amsterdam before bagging this offer. While she starts as a Graduate Software Developer, after 9 months, she will be given the title of Software Developer. This multi-faceted youngster who has been a winner at various hackfests, interhouse sporting and tracking events and had research publications and awards under her belt says that while the location was an obvious attraction, the fact that the offer is from the HQ itself will provide great exposure to learning and overall development. “The graduate software developer has the liberty to choose his or her own projects after exploring them during the first 9 months. So that’s another big plus point,” she says. There are a few more talented youngsters who have received offers from the above mentioned companies. But while some of them are yet to take a decision, there are some others who have turned them down to follow their hearts in smaller Indian startups. Whichever path they finally follow, we wish them well!